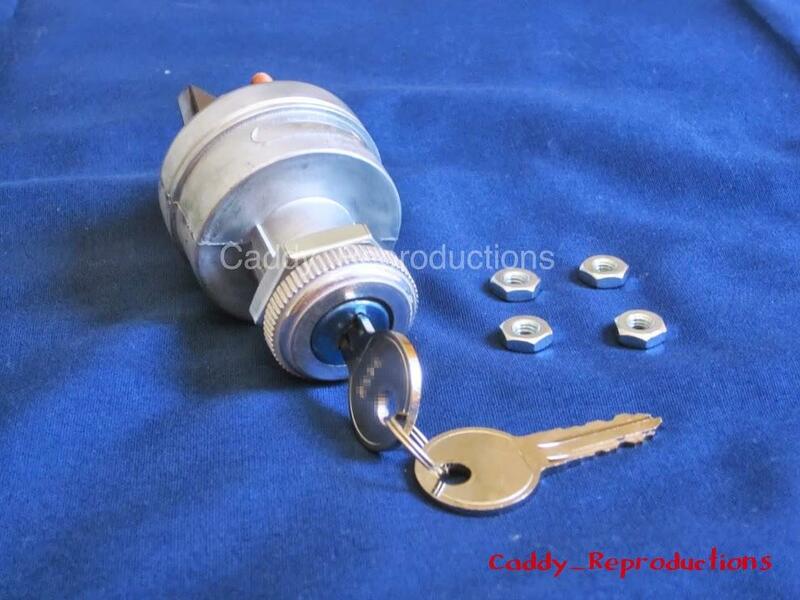 Here is a New Ignition Switch Complete with keys for your 1946 - 1968 Cadillac. Instructions Included. This is Very Close to the Original, since Exact Reproductions are not available, This Universal Switch / Custom Fit Application, May require some slight modification including cutting of fittings and installing newer style fittings to your wiring harness. This is the most economic option we have available at this time.